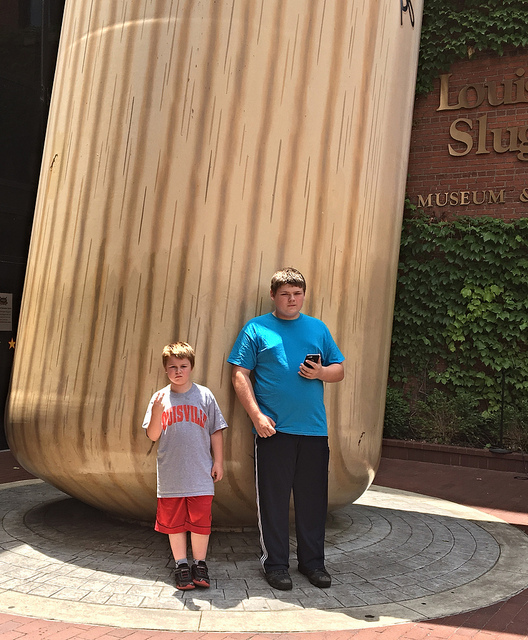 Louisville Slugger Museum & Factory-Louisville, KY: While the Louisville Slugger Museum was celebrating its 20th birthday, I was celebrating one of my own. 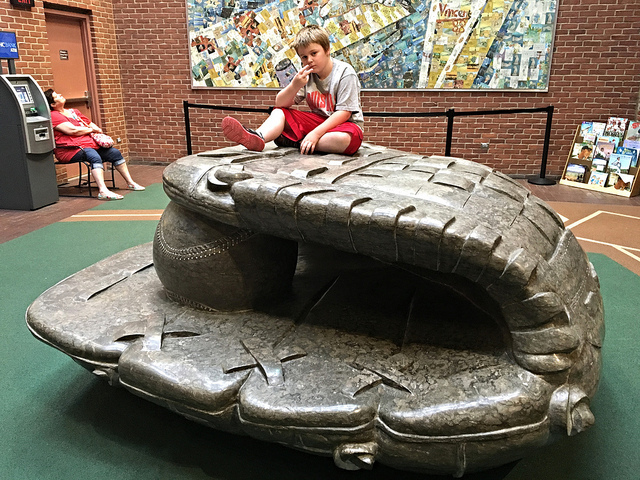 It seemed like a perfect fit for both of us to celebrate together, so the boys and I made a trip to the city for a day of baseball fun. We arrived, and got into the factory tour right away. They don’t allow any photography during the factory portion, but it was interesting seeing how the bats were made. Trevor and I had been here before way back in 2009, but it was still fun for him to see it all again, and understand it now that he’s a bit older. And of course Brian ate it all up, and loved seeing the whole bat-making process. 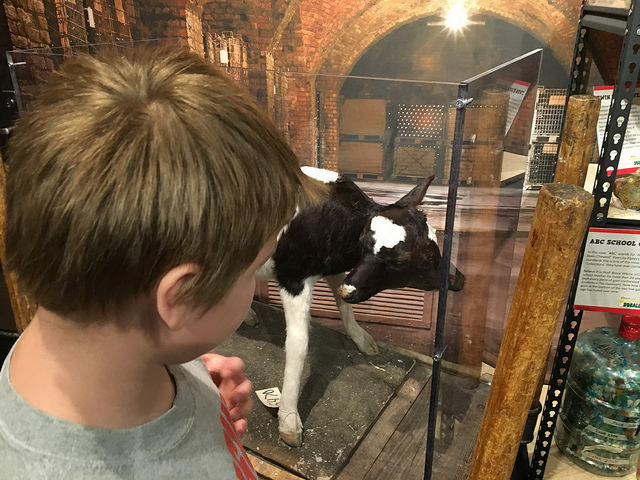 After the tour, we checked out the permanent exhibits at the museum. 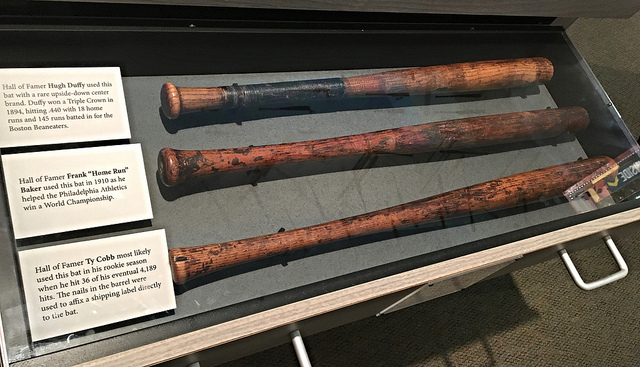 There are many relics and bats from the all-time greats of this sport! 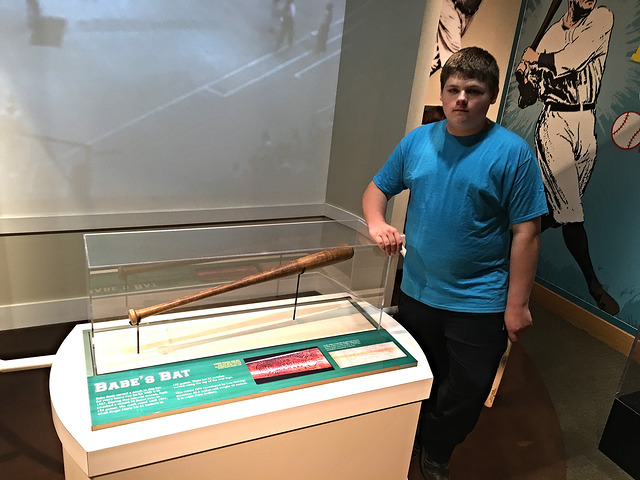 Below, Brian looks good with Hank Aaron’s bat, and he’s grown up with stories of ‘Shoeless’ Joe Jackson, so he was a little in ‘awe’ of ‘Black Betsy’. 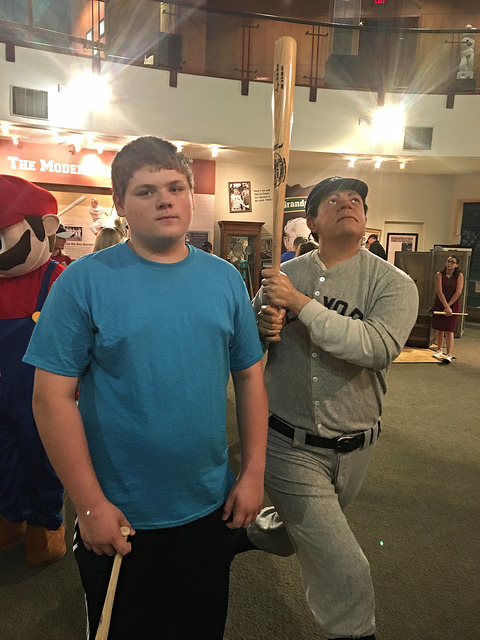 Here’s Trevor with the Sultan of Swat himself, along with Babe’s best bat ‘Darlin” below that. 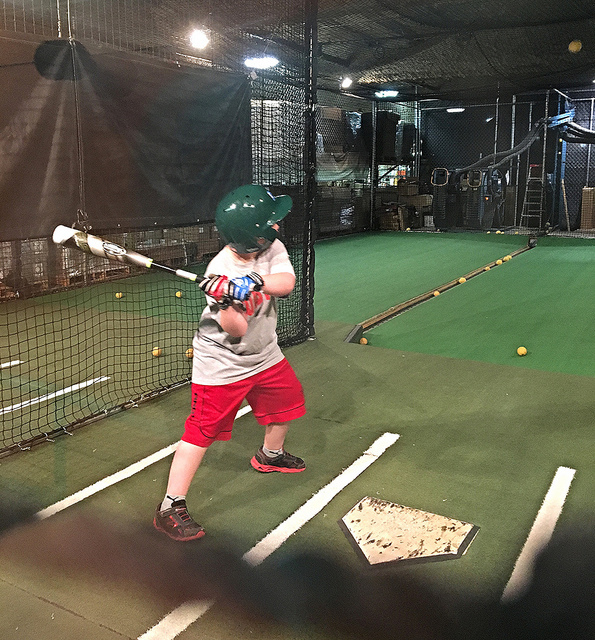 I still have a great pic of the two when Trevor could barely see over the bat stand! 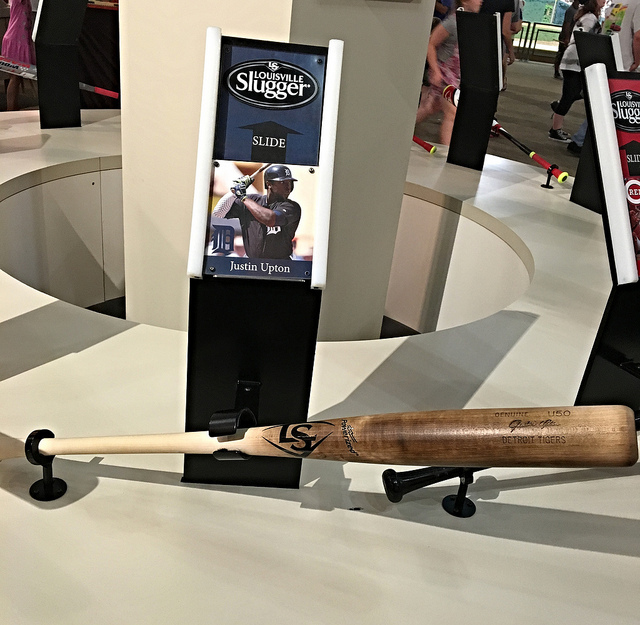 As a Tiger fan, I don’t think the Justin Upton signing was a great deal, but I do love his flame-tempered bat! 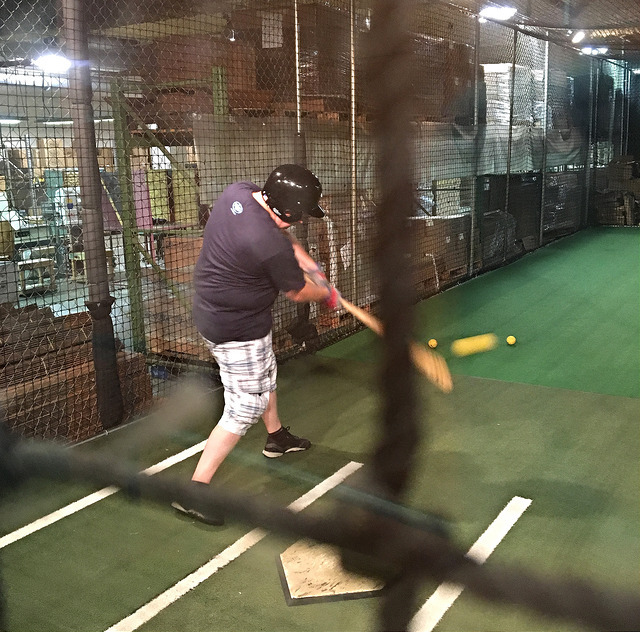 And below that, the third bat down was used by the greatest Tiger of them all, one of the best hitters in history, Ty Cobb. 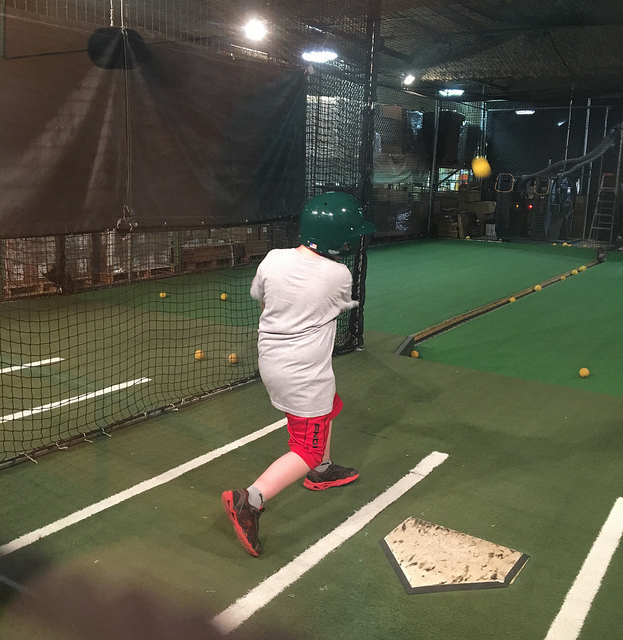 Next we hit the cage! 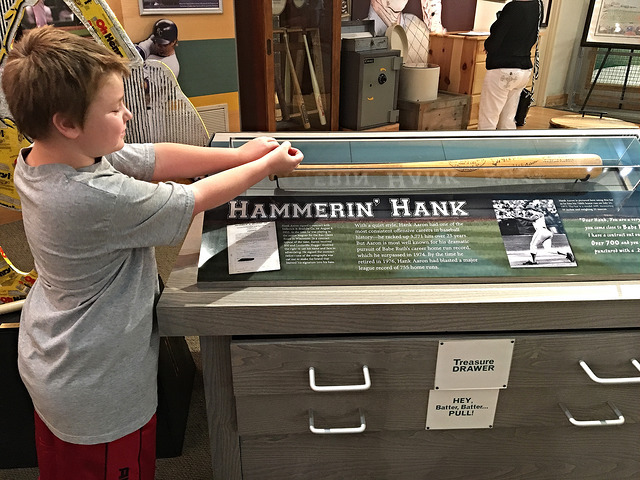 Brian did his best Hammerin’ Hank impression. Next we checked out the Ripley’s Believe it or Not Oddball exhibit, which is here in Louisville temporarily. 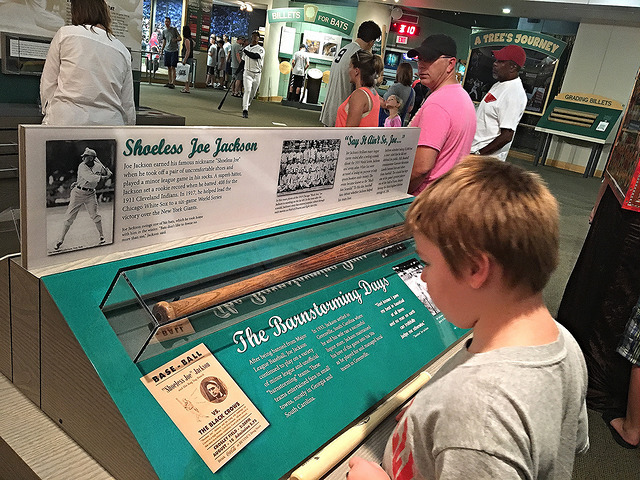 It contains some cool stuff, but not everything in it pertains to baseball. 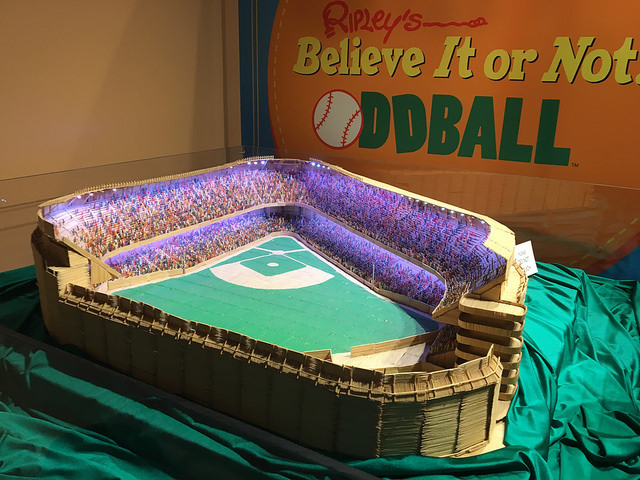 The photos are of Yankee Stadium made of toothpicks, and a real ‘double-header’, a two-headed calf. 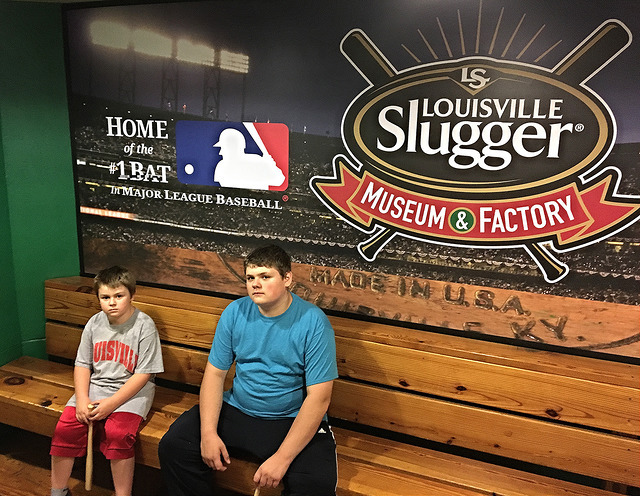 I highly recommend this factory tour and museum for any baseball fan in the area. It’s definitely worth going out of your way for, also, as it’s one of the best baseball places I’ve been to, second only maybe to the actual Hall of Fame. 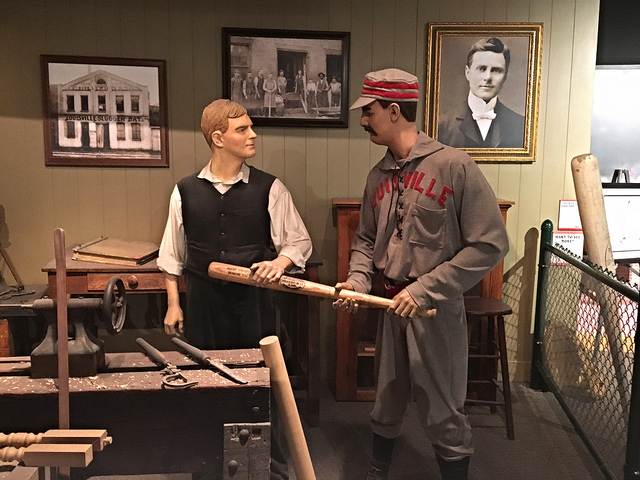 The history of the company is so rich, especially all of the great players who have swung Louisville lumber. I’m glad the museum and I could celebrate our birthdays together!